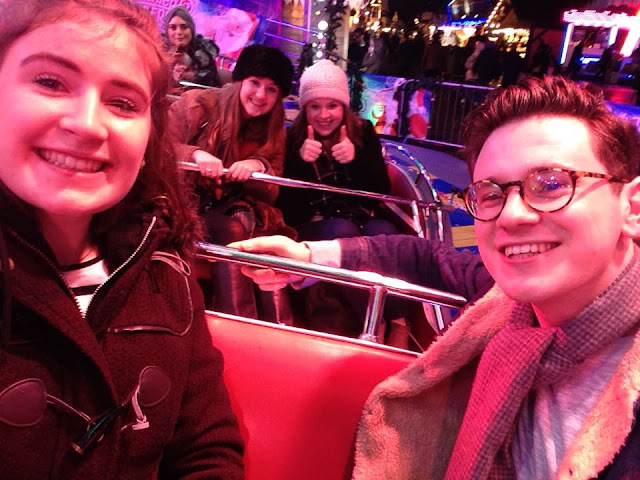 Another post about my adventures in London and this time I'm sharing about my amazing day at Hyde Park's Winter Wonderland. I've always wanted to visit the Winter Wonderland, I've seen it in so many vlogs, my sister has visited it and of course it fills my instagram feed around this time of year. 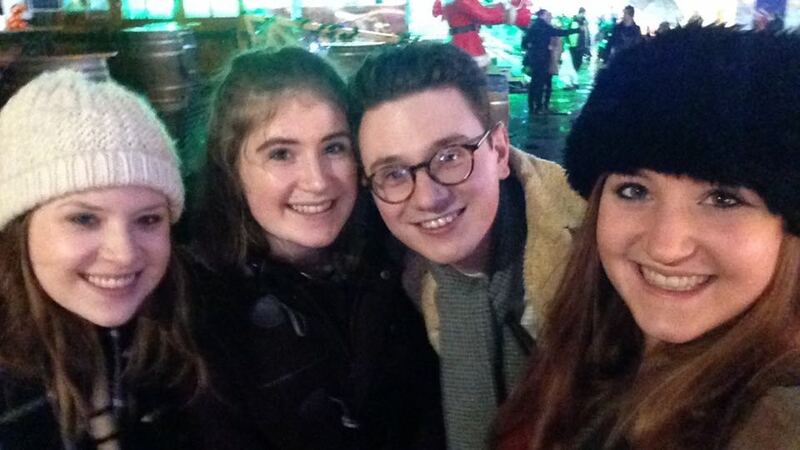 So when I booked my flights to London, the Winter Wonderland was top of my check list of places to visit. And today I can put a great huge tick over it. We decided to visit Hyde Park today since all four of us Johnston kids were free to meet, so we could experience it together. Immediately when we walked in we were confronted with the massive rides and attractions, light up with many colours, music blasting and everything seemed to go so high. Jokes were made about going on them - something I never thought I would do, as I'm only a fan of rides in actual theme parks - but we decided that we had to tackle at least one while we were there. To get ourselves in the Christmassy mood we had a wonder around the area - and there sure are a lot of areas. The rides dominated a huge part of the Wonderland, and screams could be heard all around. The stalls were all very cute, although being very similar to the Edinburgh Christmas market with adorable hand made gifts and ornaments. Along side these were lots of food stalls, all smelling amazing and drawing us in. The place is filled with light, and everything looks so beautiful. It's impossible not to stare in awe at everything. So with the promise of some tastey food later on, we decided to have a Christmassy drink of mulled wine. The tiny buzz we got off of this prepared us for a ride, and soon we voted to decide which of the monsters we were going to tackle. To ease us in, we got tokens and went on a ride called the 'Wonder Land Express' which appeared to be a kids ride. It was so similar to one that we went on in Porta Ventura a few years back, so we knew it was fun. We laughed throughout as the speed and pressure pushed us to one side as the ride got faster and faster. Coming off, we knew we had the courage and adrenalin to face a big ride. And as Anthony had the casting vote, we went on The Hangover ( the massive column ride that can be seen in the photo a couple down). I freaked out. I can't even deny it - I begged to be let off, I almost cried and I was on the verge of passing out, all before the ride even left the ground. However, I did manage to take in the view of London and babble very nervously to my brother and sisters as the ride climbed to a massive 85 m (almost 280 feet). Surprisingly I didn't scream at all! I did hold in my breathe and feel like I almost had a heart attack, but coming off the ride I was laughing - albeit very shaky. We all thought we deserved a drink after that heart pounding experience, so treated ourselves to some Hot Toffee Apple Ciders before going on a food hunt. Bratwursts, Waffles and Pretzels were on the order, and we all had very happy tummys.